The Nano Heart Attack by Hotone is a high gain guitar amp head that is perfect for metal and rock players looking for a great sounding portable amp head. 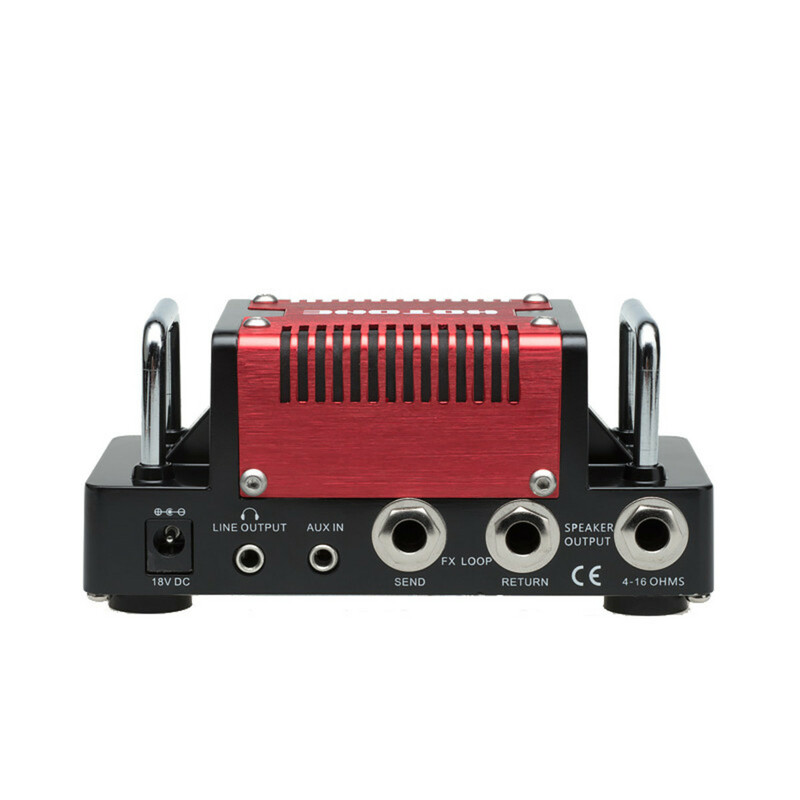 The Heart Attack is a 5 watt amp head like no other as it is highly compact, at only 128mm wide and 59.5mm high. This amp head will leave you speechless as its massive, powerful tones come from something that can literally fit in the palm of your hand. The Hotone Heart Attack draws inspiration from the Messa Boogie Rectifier and offers players a high gain sound that is reminiscent of classic hard rock and metal. The Heart Attack features a full 3 band EQ to give you control over the shape of the tone as well as volume and gain controls. The Nano Heart Attack features Auxiliary in jack and Headphone out jack providing you with the ability to practice and record comfortably and also to play along with an external source. 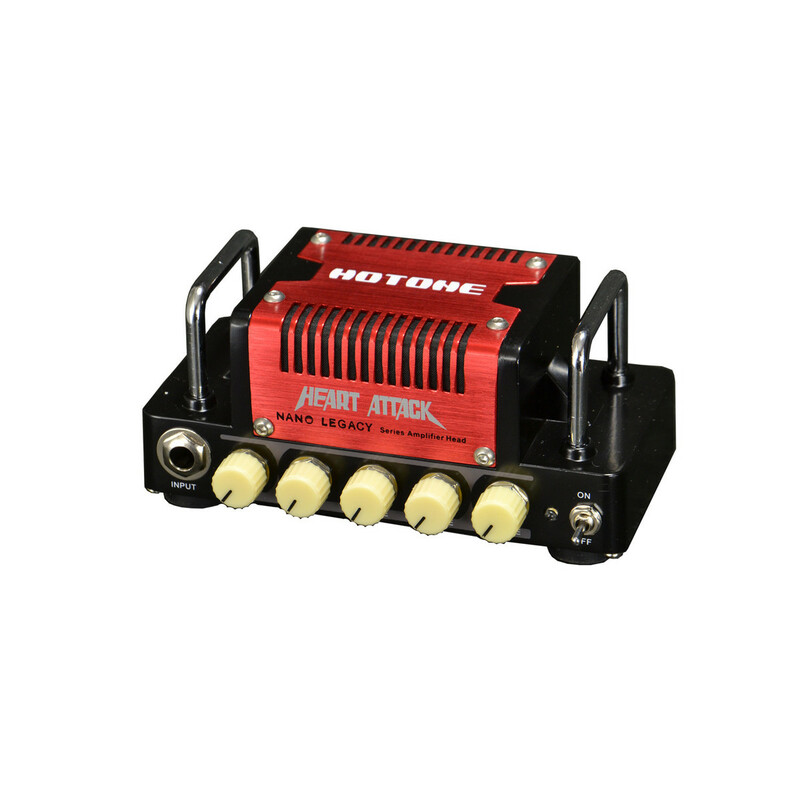 The speaker output automatically matches different cabinet impedances from 4 - 16 Ohms.